Outstanding Image Quality: 10 Megapixel CMOS sensor with DIGIC III Image Processor. Auto Lighting Optimizer for highlight/shadow control, and Picture Style settings for in-camera color, contrast, and sharpness control. High-speed, wide-area 7-point AF with center cross-type sensors. Excellent performance with 3.0 fps continuous shooting and burst rate up to 514 Large JPEGs (until memory card is full). 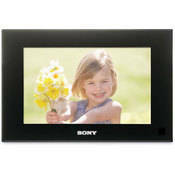 Large 2.5-inch LCD monitor with Live View Function. 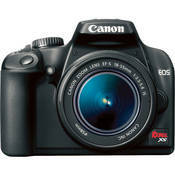 Canon's lightest and most compact EOS Digital SLR to date. Compatible with compact SD and SDHC memory cards. Have you ever seen a more stylish screen? 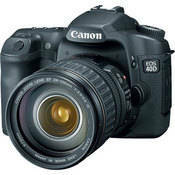 The Canon EOS 40D SLR Digital Camera is a superb choice for advanced amateur photographers and entry-level professionals. 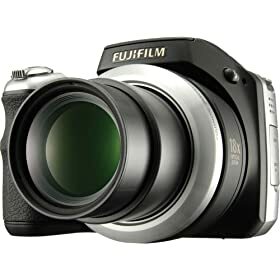 It incorporates an enhanced, 10.1-megapixel CMOS imaging sensor with the proprietary and super-efficient DIGIC III image processor together with a completely redesigned auto-focus sensor. The Canon EOS Rebel XS Digital Camera incorporates a number of high-end functions and technology found in Canon's professional SLR models, including an improved autofocus sensor, and an advanced Live View function. Plus the proprietary DIGIC III image processor ensures that the fine details and natural colors of the images are optimally recorded, and also manages the camera's efficient energy consumption and high-speed signal processing performance. The 10.5 megapixel APS-C size CMOS sensor employs large microlenses over each pixel to reduce noise and enhance sensitivity up to ISO 1600. The camera also incorporates the Highlight Tone Priority and High-ISO Noise Reduction functions (previously found only on Canon's Professional Digital SLRs) and the camera is equipped with Canon's Auto Lighting Optimizer technology, which corrects image brightness and contrast automatically to prevent underexposure with backlit scenes. 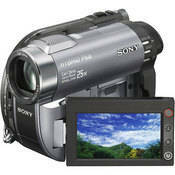 Sony's DCR-DVD810 8GB Hybrid DVD/Memory Stick Standard Definition Camcorder keeps recording easy. It features hybrid capture with immediate playback on most DVD players and computers. In addition, the 2.7" wide touch panel LCD display rotates up to 270° offering you a variety of viewing angles and easy to navigate menus. This top tier model features recording to the 8GB flash memory, DVD or Sony's own Memory Stick PRO Duo or Memory Stick Duo media for quick sharing and playback, saving you from complicated editing processes. The 25x optical zoom provides clear, accurate close-ups while the built-in zoom mic picks up audio as you close-in on your subject. And, the Quick On button ensures that you'll never miss an important moment again by getting your camera ready to record with just a touch. The DCR-DVD810 gives you the freedom to shoot without having to lug around delicate or awkward recording media, letting you focus on what really matters. 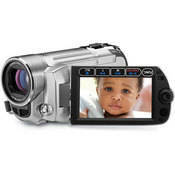 Canon's FS-100 Flash Memory Camcorder (Silver) is a light-weight, go-anywhere camera that is perfect for travel. Slip it in your bag and you're good to go, ready for any once in a lifetime moment that comes your way. 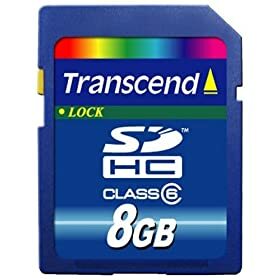 Record to removable flash memory SDHC cards (sold separately) for easy uploading of footage to your PC for emailing, printing and sharing on sites such as YouTube, in no time at all. 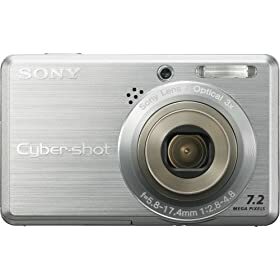 This camera also features Canon's exclusive 48x Advanced Zoom which extends the normal 37x optical zoom for an even wider range with virtually no loss of image quality. The DIGIC DVII image processor improves color reproduction in skin tones and dark or bright situations for images that pop. Storing or backing up your digital music, videos and photos. Carrying important files and e-mail between work and home or on the road and keeping them in sync. Sharing large files between office and home, between PC and Mac. Pick from multiple colors to express your unique style. Fusing 12.3-megapixel image quality and a cinematic 24fps D-Movie Mode, the Nikon D90 exceeds the demands of passionate photographers. This 5.8x zoom lens, designed exclusively for use with Nikons DX-format, features Nikons VR image stabilization and is perfect for portraits and action. Nikon's Coolpix S60 Digital Camera in Santa's favorite color! 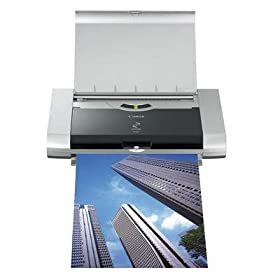 Spectacular Resolution This stylish home printer delivers a resolution of up to 4800 x 1200 color dpi, with droplets as small as 2 picoliters for spectacular photo detail and document clarity. Fast Photo Printing You won't have to wait long to see your great pictures. A beautiful borderless 4" x 6" print only takes approx. 55 seconds. FINE Technology Canon Full-photolithography Inkjet Nozzle Engineering (FINE) uses a patented print head with 1,472 precision nozzles, ejecting ink droplets as small as 2 picoliters. Meaning? More nozzles + high accuracy + small droplets = amazing images. Clear, Laser-Quality Text The specially formulated pigment black ink delivers clear, laser-quality text with excellent readability and a high resistance to bleeding and smudging. So, the next time you're handling or even highlighting a newly printed document, don't worry the text will remain sharp and professional-looking. Auto Image Fix The built-in Auto Image Fix feature helps you produce amazing results for all your photos. First, it categorizes your images into one of five types - Portrait, Scenery, Night Scenery, Snapshot with Scenery, and Snapshot with Night Scenery - then applies optimal image correction accordingly. For example, it will automatically brighten faces that are backlit and under-exposed, and correct color cast to help ensure accurate skin tones. Easy-PhotoPrint EX Software Canon Easy-PhotoPrint EX software helps you print beautiful photos or create and print albums, calendars and stickers. This versatile software also provides high-quality image correction for red-eye, sharpness and face brightening. This weekend, we have unbelievable savings on four different Sandisk memory cards, exclusive for THIS WEEKEND ONLY. In each case you get a giant rebate and save a bundle, but the deal is a bit complicated, so pay close attention. These prices will be active on Friday, Saturday and Sunday, 12/19-12/21. The LOYALTY10 coupon, for $10 off, is eligible for these orders. That means the first deal can actually get you 3 4-gig cards for $6.66 each after rebate, the second $13.33, the third $46.66, and the last $16.66, so go wild with this crazy deal! You will need THIS REBATE FORM !! lots more deals - click on link and browse the deals! Keep your computer running in the dark!